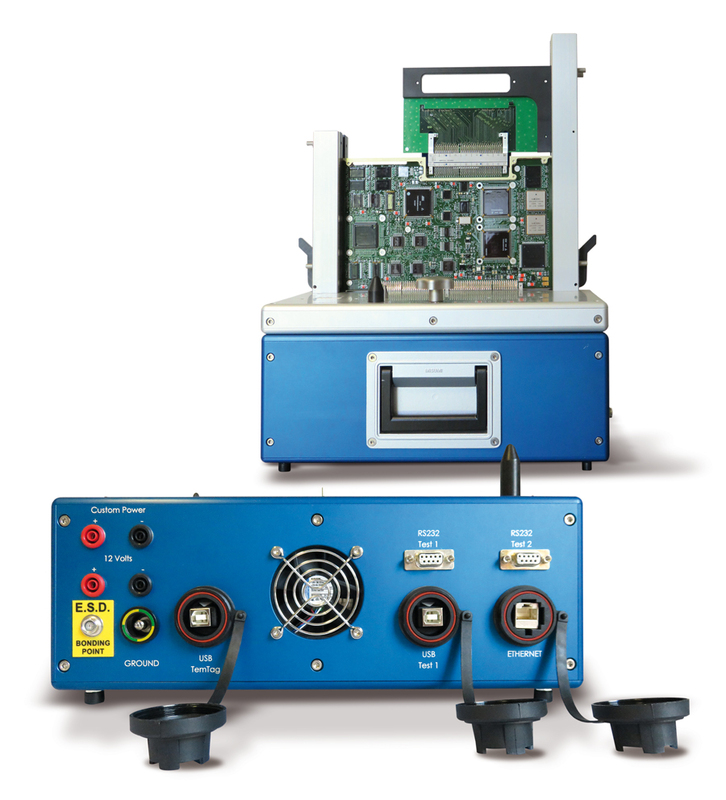 TemFox Series II Standard Edition is a modular test equipment designed for the test of electronic boards. Fully equipped with JTAG and JTAG emulation controllers, power supplies and extended digital IO, TemFox enables to run engineering and production tests on any complex electronic boards. Robust, multi-target with a lot of testing resources, Temfox is a suitable equipment for military, aerospace, médical and space applications. Prototype debugging, production tests, repair. TemFox Series II Ruggedized Edition has the same resources and features than the standard edition but it has been customized with a thermal protection in order to run thermal tests. Test and debugging of electronic boards in an ambient atmosphere or in a climatic chamber with hot and cold cycles. OBSERVE AND DIAGNOSE THE FUNCTIONAL BEHAVIOR OF YOUR ELECTRONIC BOARD DURING THEMAL TESTS. FULLY MONITORED AND CONTROILED BY OUR DIATEM.